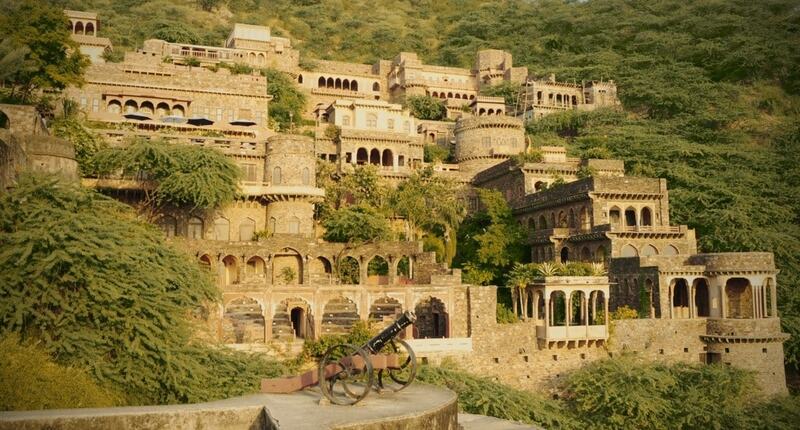 Bhangarh Fort is located in Alwar District of Rajasthan near Sariska Tiger Reserve. It is a 17th century fort famous all over India for being the Most haunted place in India. villages have sprung up far away from the fort because of the numerous ghostly experiences and happenings in the fort premises. Archaeological Survey of India or the ASI has restricted the locals and tourists from entering the fort at night. Many Bhangarh incidents and stories make up the unique legend of this fort. One such myth says that the city of Bhangarh was cursed by a skilled magician Singhia, who used to live in the region had fallen in love with the charming princess Ratnavati of Bhangarh. Since there was no chance by which he could earn her, he decided to use the black magic to attract her. The used the magic on the oil to be used by her. Touch of the oil would hypnotize the princess, and she would abandon herself. However, the tantrik was defeated as the princess learned of his intentions, and she threw the oil away. The oil touched a stone, and the stone, rolling towards the wicked tantrik, crushed him. While dying, Singhia cursed the palace with the death of all who dwelt in it. The very next year there was a battle between Bhangarh and Ajabgarh and all died. Although the Bhangarh Fort is the most visited Tourist Spot in Rajasthan. Make your Bhangarh trip alluring with Car Rental Jaipur.